My husband and I know all about Disney Princesses. Our daughter is obsessed with all things “princess” and loves to play dress up. (And yes, we’re often playing right along with her!) From an early age, she has been conditioned by me and knows all the Disney classics (lookin’ at you, Belle! ), and has also been introduced to today’s faves like Elena of Avalor and Sofia the First. Because we’re such a movie-loving family, we’re counting down the days to the Academy Awards and want our girl to have as much fun during Oscars’ season as we do! 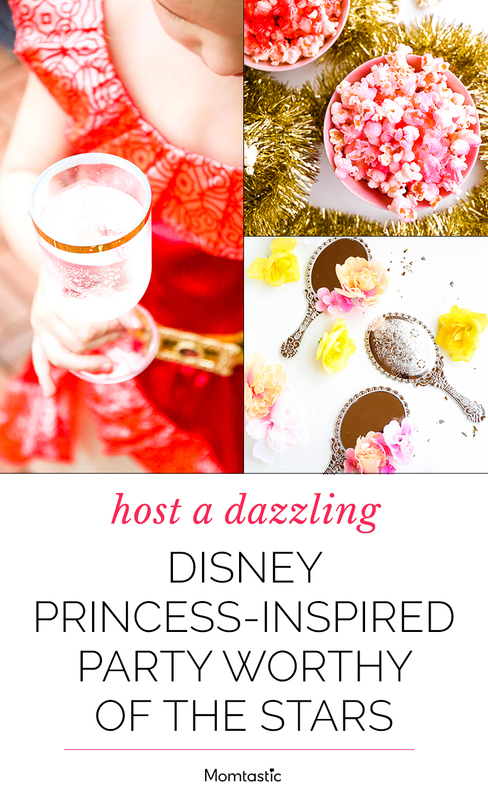 In preparation for the awards, I came up with a few simple ways to throw an Oscars-style princess party for the princess lovers in your life. The first rule of thumb: Lots of glam, gold decorations and accessories! 1. Create a special space for photo ops. 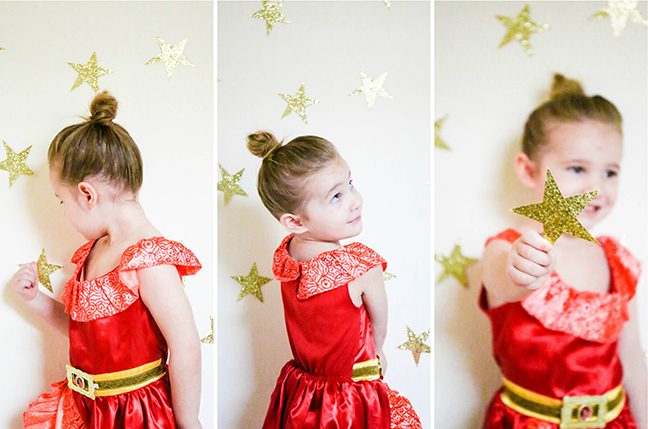 Attach gold paper stars to the wall in random fashion with double-sided tape to create a special backdrop for their close-ups. 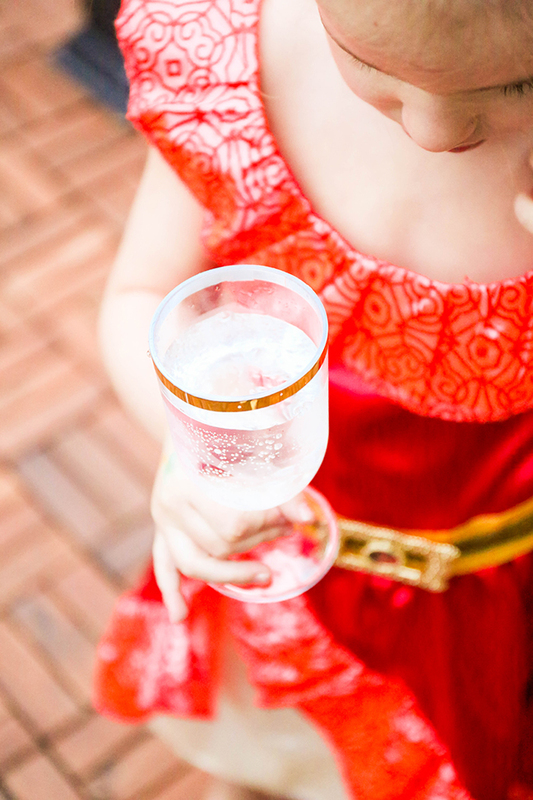 Tell the kids to come dressed as their favorite princess for the ultimate red carpet experience. 2. Make princess-worthy popcorn. 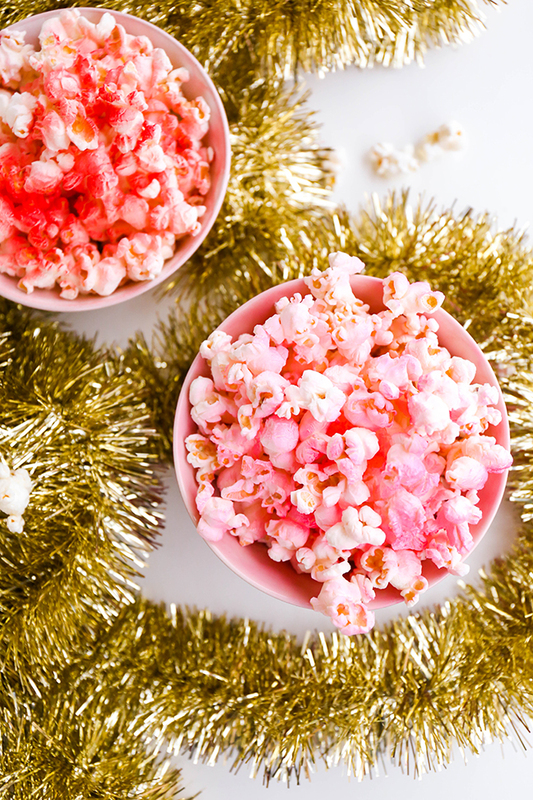 No movie-centered party is complete without popcorn! Keep it simple with flavors like butter or kettle, but kick up the princess factor by using edible color mist (typically used for cake decorating) to create a pink and red option. There are several options of color to choose from so you can customize your color palette (yes, there’s even a gold spray!). Simply spray on already-popped popcorn and enjoy. 3. 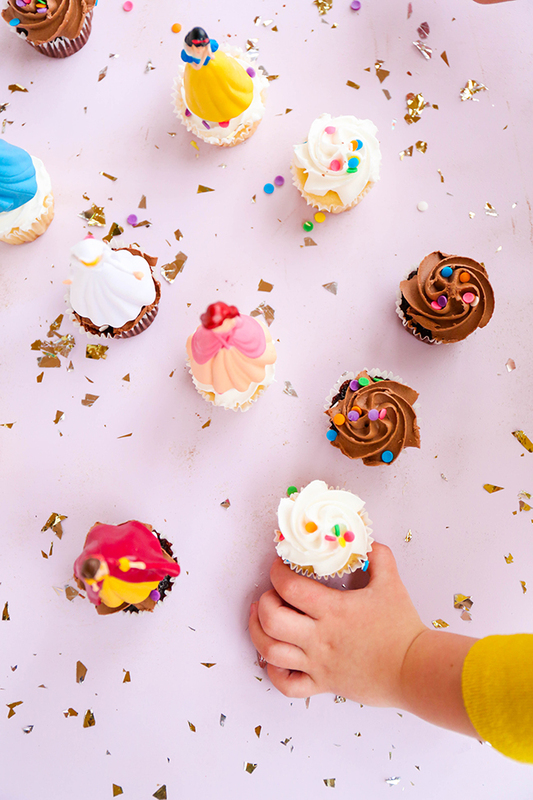 Use mini toys as cupcake toppers. Give cupcakes a fun makeover by placing inexpensive princess dolls on some of them. Sprinkle confetti on the extras. And yes, you can absolutely start with store-bought cupcakes instead of homemade! 5. 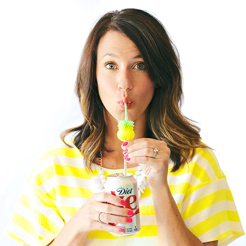 Don’t forget color-coordinated treats kids can enjoy on the go. 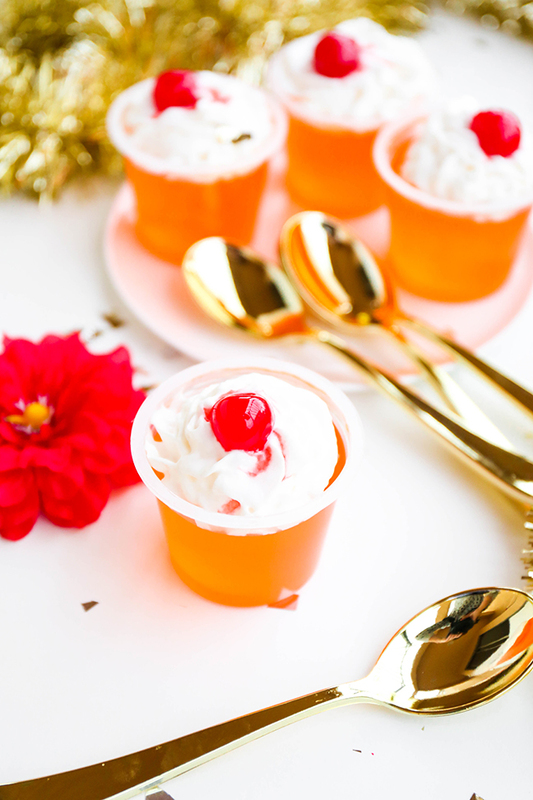 To make these disposable “Elena” Jell-O cups, remove the lid, cover with whipped cream, and top with a cherry. 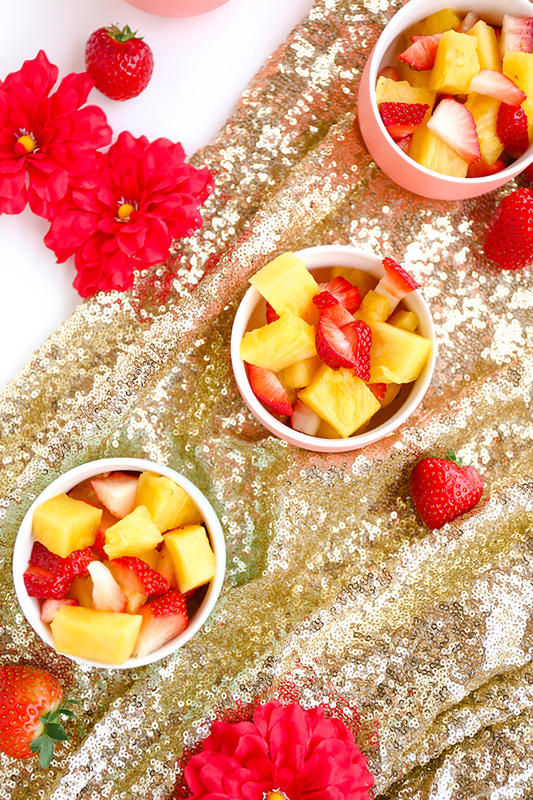 Bonus points for using cute gold spoons! Use strawberry Jell-O and mint-colored sprinkles for a look that’s inspired by The Little Mermaid. 6. Create edible “magic wands” with cake pops. Everyone’s favorite party treat is transformed into a magical dessert when you add sugary embellishments like sprinkles and sugar wands. To attach your icing decoration, place a dollop of frosting on the back and press gently onto the cake pop. 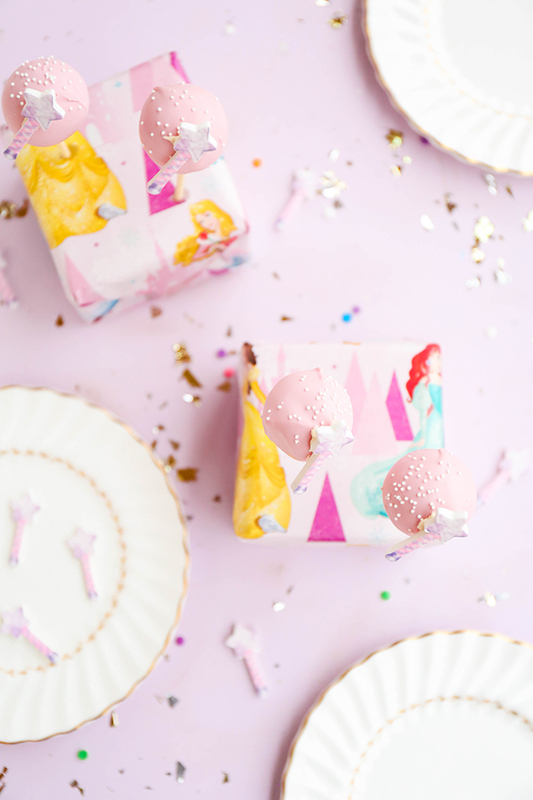 Serve them up in foam blocks wrapped in princess wrapping paper. 7. 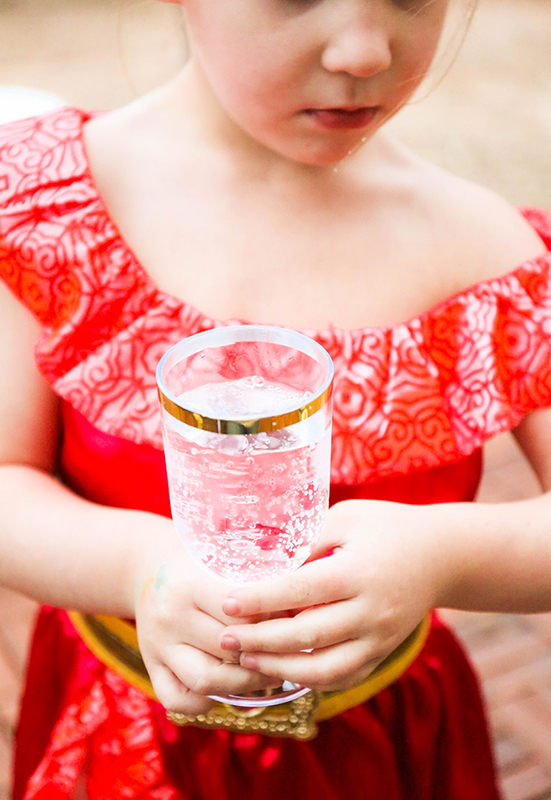 Serve sparkling juice in DIY gold-rimmed “Champagne flutes.” Add strips of gold washi tape to the rims of plastic cups to make them worthy of the Oscar’s! Those little princesses will feel like they’re getting the royal treatment for sure. 8. 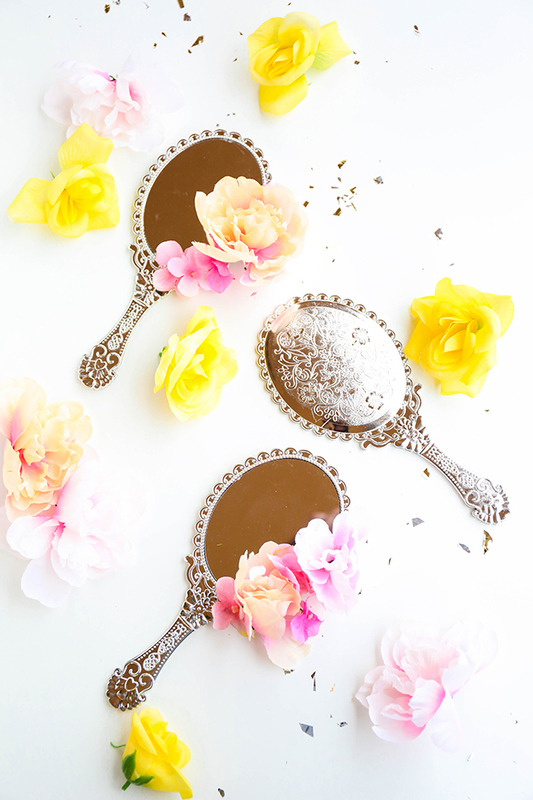 Send everyone home with Belle’s magic mirror. Who could forget the magic mirror from Beauty and The Beast? 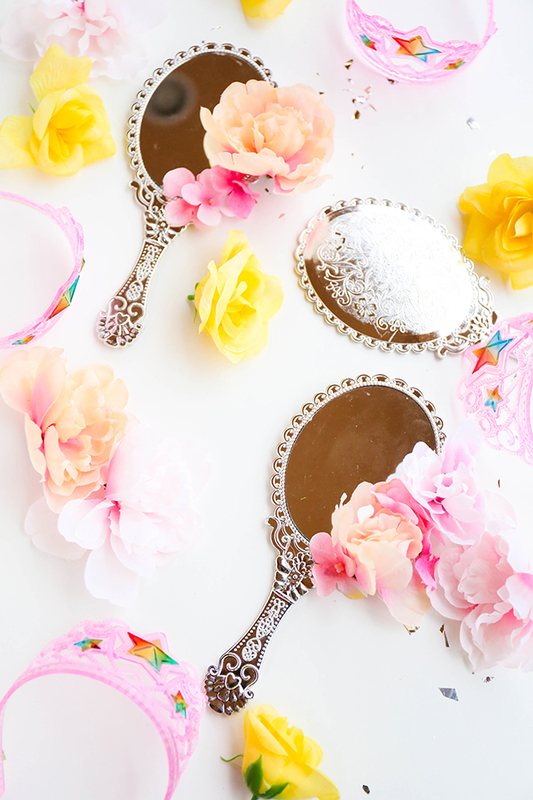 Create your own party favors by attaching silk flowers with hot glue to little handheld mirrors like these Dollar Tree finds. Snag a few bunches of silk flowers and gently remove the buds from the stems. Place a small dollop of hot glue and quickly press one flower at a time into the glue. Add a few different flowers running up one side to resemble the enchanted mirror that Belle uses in the movie. Throw in some crowns and those little girls will love you forever! Have a ball. Love this party? Don’t forget to share it on Pinterest!